Press Release:- Plans have recommenced for the hosting of a ceremony to formalize the start of works on the Ti-Rocher Micoud Water Project. The event which was originally scheduled to take place on August 2nd 2018 had been postponed due to the passing of the former Parliamentary Representative for Micoud South Arsene James. Mr James had been integrally involved in the commissioning of the project and had been lobbying for its commencement since 2002. The ceremony is now slated for August 22nd 2018 at 3pm at the tank site in Ti-Rocher Micoud. The selected contractors include Mr Felix Samuel, Mr Gaspar St Hilaire and Mr Ted Emanuel all from the area of Micoud South. 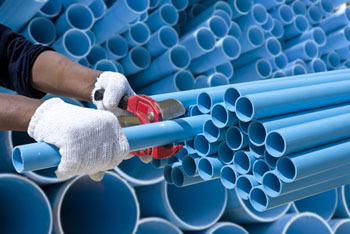 The project includes four phases and the laying of approximately 1.468 km of PVC and ductile iron pipes, fittings, valves and other related infrastructure. A signing ceremony for three of the contracts took place at WASCO’s Lanse Road headquarters on July 30th 2018. Present were WASCO’s General Manager Mr. Edmund Regis, Chairman of the Board of Directors, Mr. Francis Denbow, Technical Committee Directors which include Directors Mr. Eglan Flavien, Mr Joseph Dujon, and Mr Paul Joseph. Also present were Design and Construction Manager Mr. KelvinEmilien and Corporate Secretary/Legal Officer Mrs Nichola Benjamin. The fourth contract is still pending and awaits official signing. The project is to be completed by 26th November 2018. Motorists and pedestrians traversing the area are advised to exercise caution along the route.